If compared to conformation shows that initially served to develop and consolidate dogs’ physical strength, Schutzhund sport had an assignment in a way close to “purification of the soul”. 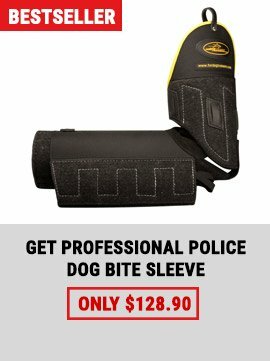 Its prior assignment was and remains the following: to check if the dog possesses suitable features to perform as a working k-9 and to develop them. 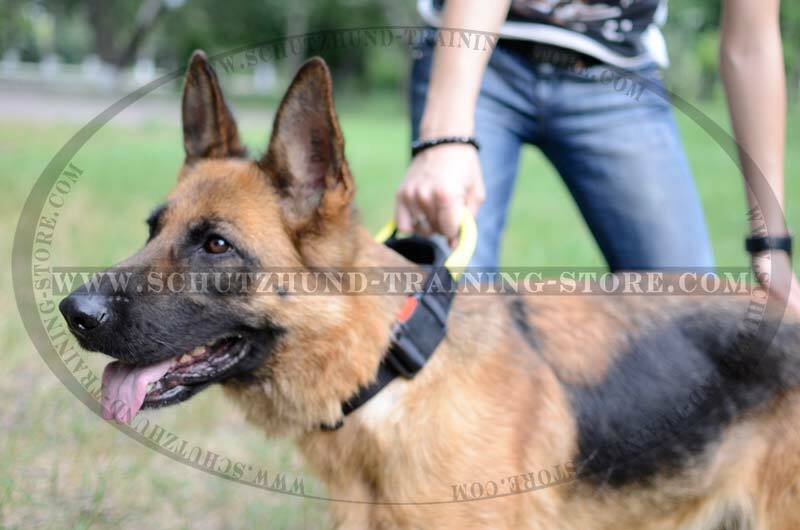 Today Schutzhund is popular among people not necessarily connected with working k-9 units. The secret of its popularity is a great opportunity of communication with a dog - common business is great in making a bond closer but in only one case - in the case a person knows what he/she wants to receive. 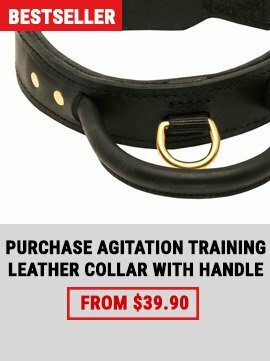 This according to some statements is an absolute necessity if you want to be successful in dog training and Schutzhund sport may help. 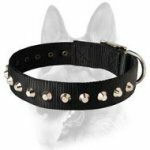 if you want to get a dog that will be a great pet and a a great protector of your welfare, you might be interested in the following advice concerning the choice of a puppy as well. 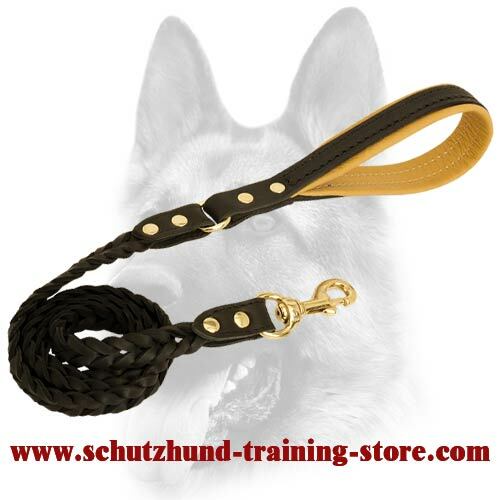 This innovative Braided Schutzhund Training Leash is a great educative means for those dogs involved in the training. 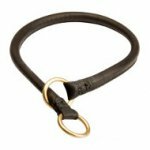 Made of durable leather it has solid brass fittings and a reliable brass snap hook. The handle is stitched for extra durability and padded with soft Nappa leather. Just imagine the pleasure of holding it in your hands! 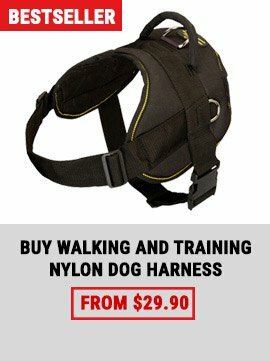 Force, speed, heat... Power and beauty of one of the elements of nature may become a perfect decoration for your dog's walking and training. 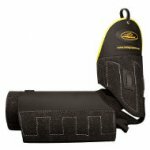 Selected durable leather, shock absorbing padding and wide straps secure comfort of wearing and reliable control over a dog. - Outer beauty and inner strength combined.